“The entire New England Home Mortgage team were amazing throughout the entire process of buying our new home. We would recommend them to anyone looking for the BEST Mortgage experience. At New England Home Mortgage, we focus on people first. We know buying a home can be overwhelming, so we strive to make the process stress-free, from your pre-qualification to your closing. Our mortgage team builds relationships founded on trust and communication. NEHM takes pride in learning your personal financial situation, taking time to explain your options, and using our expertise to find the best loan for you. We stay committed to your needs, so you can stay comfortable throughout the process. 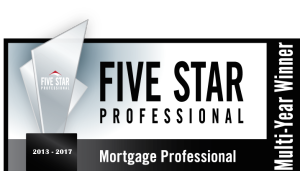 Proud to be the winner of the Five Star Professional Award for 5 consecutive years! Fill out a short form so we can get started on pre-qualifying you for your loan! Our promise is to provide an honest and comprehensive mortgage process while making you our main focus. Everyone’s financing needs are unique. At New England Home Mortgage, we offer loans to meet the specific needs of all of our clients. Find out which mortgage product is the right one for you! New England Home Mortgage has streamlined the entire loan process so that it is more convenient for you to get the mortgage that suits you best. Click below to see our loan process explained in detail. Most people would say purchasing a home is arguably one of the most stressful and overwhelming experiences in a lifetime. Questions of, "Where do I start? ", "How much money do I need? ", "What type of information do I need to give? ", "How long will this take?" are running through your head a mile a minute...and you still have to focus on living your life among all other daunting tasks that await you. Whelp, you can kiss those unnerving feelings goodbye upon walking into the doors of New England Home Mortgage. The entire team exceeded every expectation my Husband and I had. Every question we had was answered immediately with poise and professionalism. Mind you, we had no idea what the heck we were doing. We purchased and closed on our dream home seamlessly. There were times when we thought, "Something must be wrong... we're not stressed... we're not overwhelmed!?" I can honestly say that purchasing our home was the absolute best experience of a lifetime. It was easy, fun, and the entire Team at New England Home Mortgage made our home buying dreams a complete reality. Brian Taylor and the entire New England Home Mortgage team were amazing throughout the entire process of buying our new home. Brain and his staff went above and beyond servicing our mortgage and getting us locked into a rate we were comfortable at. Brian was always very approachable, and responsive, often times contacting us after hours to ensure we were able to secure our commitment by our deadline. As a second time customer of New England Home Mortgage, I would say, they have set the bar for customer service in the industry, and would recommend them to anyone looking for the BEST Mortgage experience. I know when I refer my clients, they will be in good and competent hands. New England Home Mortgage, specifically Brian Faye & Brian Taylor have done an excellent job finding the best loan programs for some of my clients. In addition, their expertise allowed them to answer all questions, taking the time to explain all of the details to ensure the clients understanding. They provided an excellent customer service experience – responsive and timely-throughout the process. I would highly recommend New England Home Mortgage for anyone seeking to obtain a mortgage or refinance product. throughout the entire mortgage process. Brian and Brian of New England Home Mortgage go above and beyond each and every time! 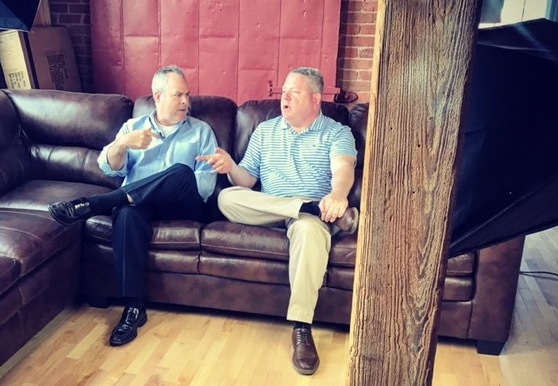 When you want to work with a Lender that is Courteous, Professional and they stay on top of the mortgage process, Brian and Brian of New England Home Mortgage are the go to guys and they are great guys too!! This was our third time working with Brian Taylor and New England Home Mortgage and we wouldn’t ever think about going to someone else! Brian is extremely knowledgeable and professional and always puts the customer first. He has always looked out for the best interests of my family. I have always found the process to be stressful until I worked with Brian. He took all the stress away by answering all of our questions and making sure we were comfortable with the decisions we made and guiding us step by step. There was never any pressure and Brian always provided options he felt were best for us. Each time we worked with Brian the process was quick and painless. We couldn’t be happier with the service we received from Brian Taylor and the team at New England Home Mortgage!